WATERLOO – Wilfrid Laurier University has been selected to receive a $500,000 grant from the J.W. McConnell Family Foundation to support social entrepreneurship and the creation of social innovation zones at its Waterloo, Kitchener and Brantford locations. The three-year donation, which is granted under the foundation’s RECODE program, will supplement Laurier’s academic programs in social entrepreneurship by funding co-curricular activities, including student groups and activities, mentorship initiatives and new social enterprises. Laurier’s project was one of 14 funded by the RECODE program, which supports students and institutions committed to social innovation and social entrepreneurship. Together, the funded projects will form a RECODE National Network, which will encourage collaboration and communication between participating institutions. By applying entrepreneurial principles to social issues, social entrepreneurs seek to create innovative, self-sustaining solutions to the world’s most intractable problems. Other social entrepreneurship initiatives currently underway at Laurier include the Faculty of Arts Social Entrepreneurship Option, launched earlier this year, and the Laurier LaunchPad program, which provides senior students and graduates with the resources and mentorship necessary to turn their innovative ideas into viable enterprises. The J.W. McConnell Family Foundation is a Canadian philanthropic organization that “engages Canadians in building a more innovative, inclusive, sustainable, and resilient society.” The Foundation also funded the launch of Laurier’s successful Community Service-Learning program in 2007, permitting students to participate in a variety of meaningful volunteer opportunities as part of their academic experience.  The Community Service-Learning program has now become a signature feature of Laurier’s educational identity. Wilfrid Laurier University is a leading Canadian university with a distinct commitment to teaching, research and scholarship combined with a strong student focus, high levels of student satisfaction and a deep sense of community. It has campuses in Waterloo and Brantford, as well as a Faculty of Social Work in Kitchener, an office in Toronto, an MBA program based in Toronto, and an office in Chongqing, China.